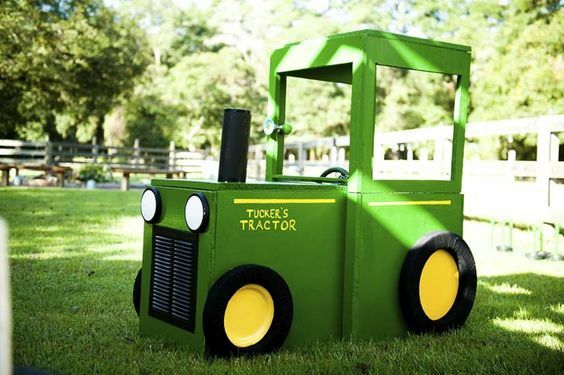 If your little one absolutely LOVES tractors, a John Deere party would be the perfect theme to celebrate! We love how creative you can get with this theme! 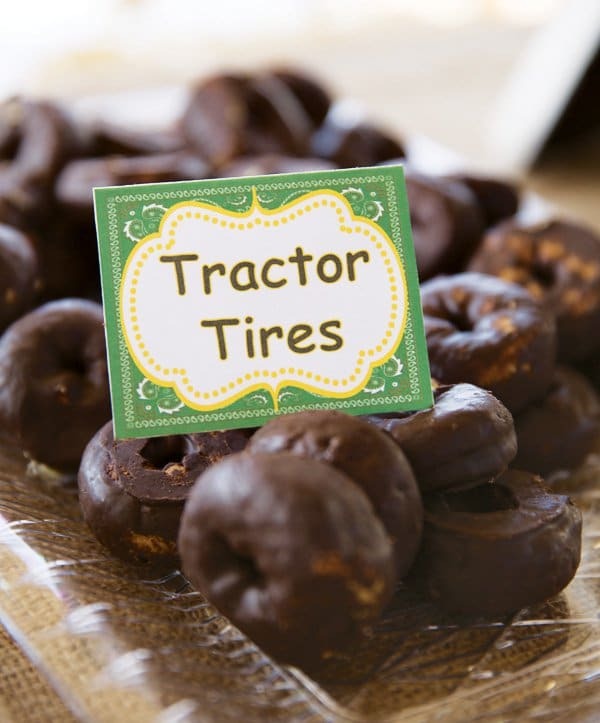 Here are 20 John Deere Tractor Birthday Party Ideas including tractor “donut” tires, ears of pop “corn”, and more! A John Deere tractor birthday party doesn’t just have to include green tractors! Give the party a full farm feel if you would like! Anything goes when it’s your party! When it comes to party planning, getting creative with food is one of our favorite things! 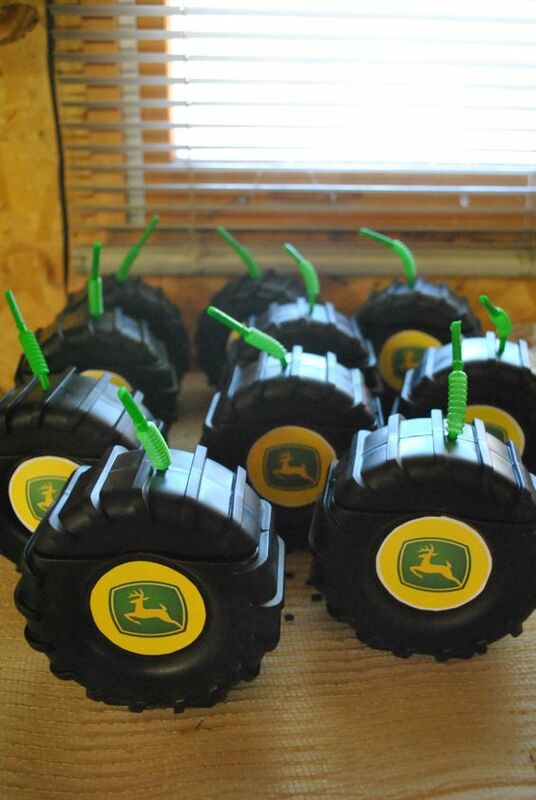 These Tractor Tire Donuts are simple and fun for this John Deere Tractor party theme! 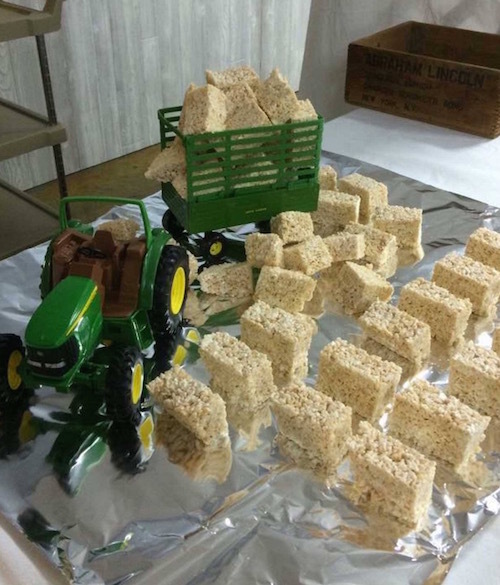 We love how the tractor is hauling bales of hay “rice krispies.” This creative John Deere Tractor Rice Krispie idea is one of our favorites for this theme! 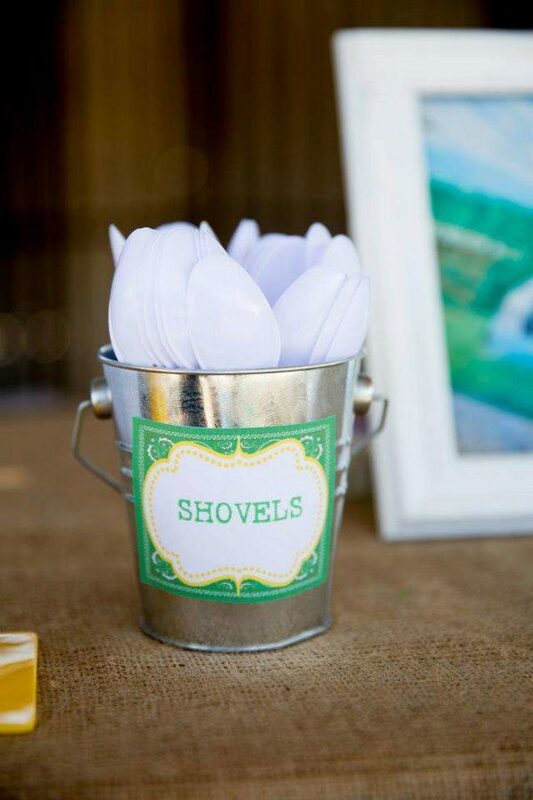 All you need are some cute labels matching your theme and you can get creative with just about anything for your John Deere party like these John Deere Shovels aka spoons! 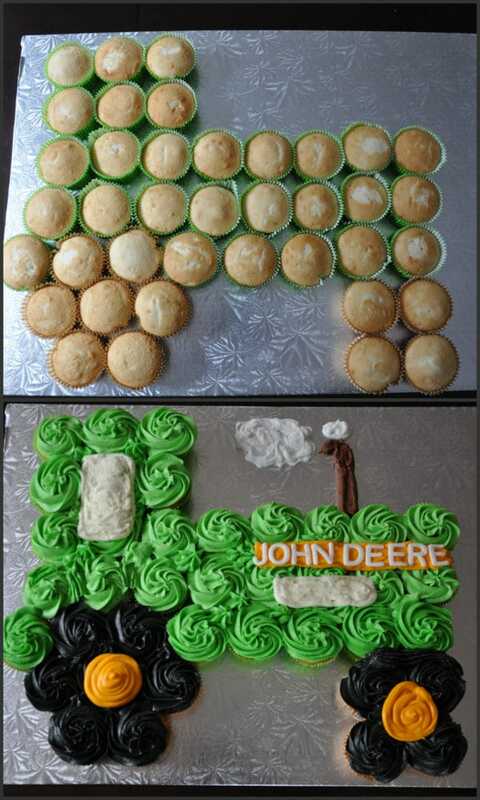 Cupcake cakes are all the rage right now and this John Deere Tractor Cupcake Cake is perfect for the occasion. How adorable is this tractor cupcake cake?! The kids will go crazy over this! 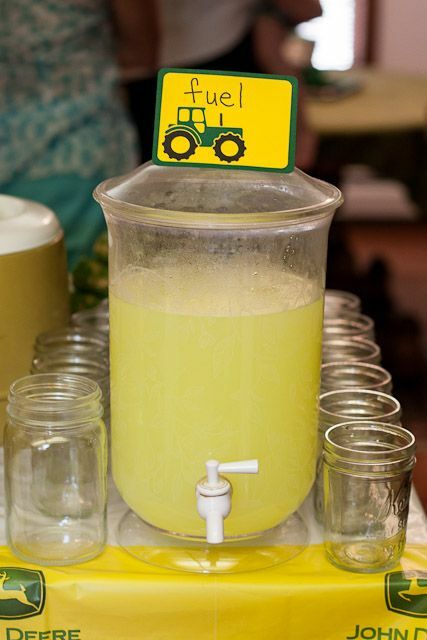 Fuel up with this John Deere Party Drink Fuel Idea! Again, another creative play on words using food and drinks! Need some party labels for your John Deere tractor party? 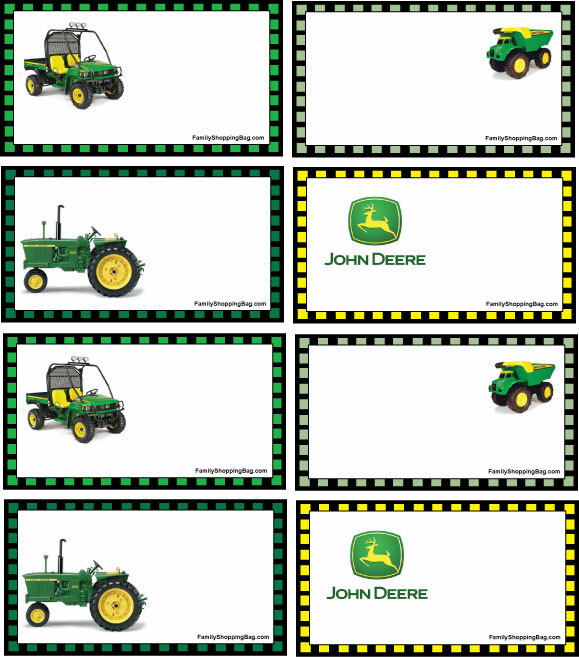 Grab these John Deere Free Party Printables! 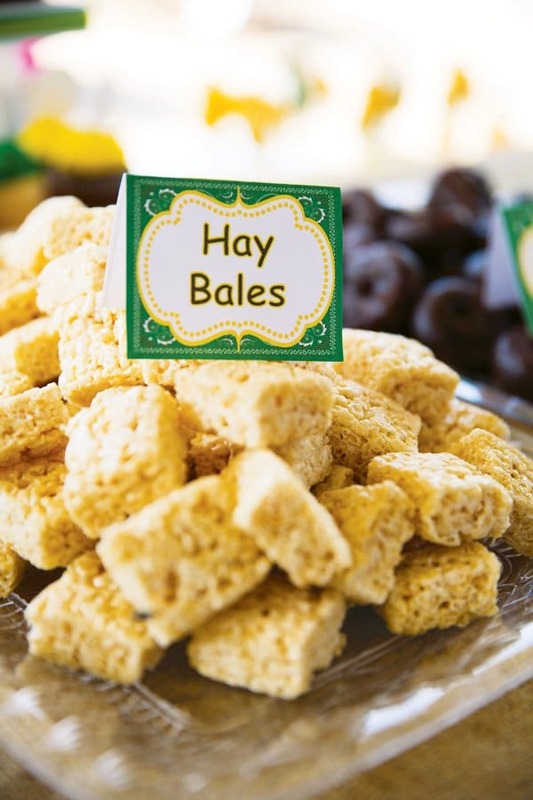 This John Deere Party Idea – Hay Bales are just some rice krispie treats – easy and perfect for this theme! Plus the kids love them! 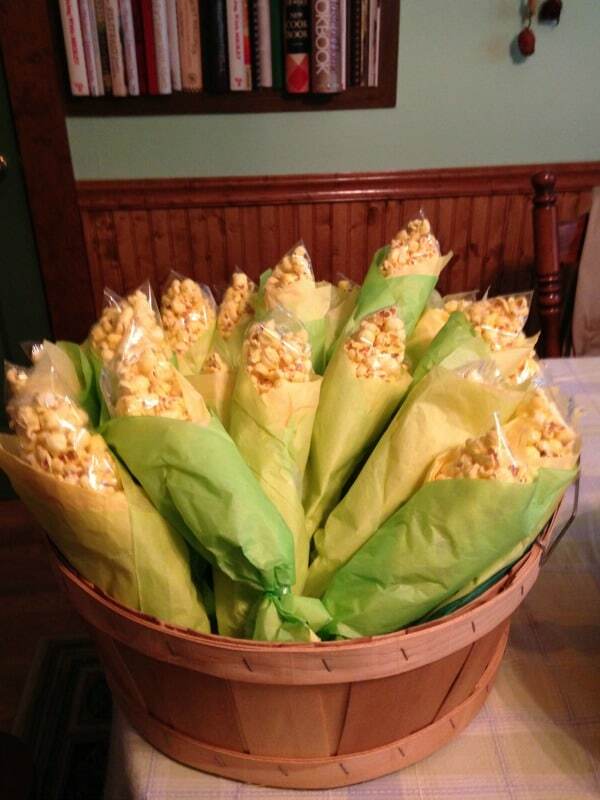 This John Deere Party Popcorn Idea is made to look like ears of corn! How creative are these?! They would make a great party favor or snack during the party! 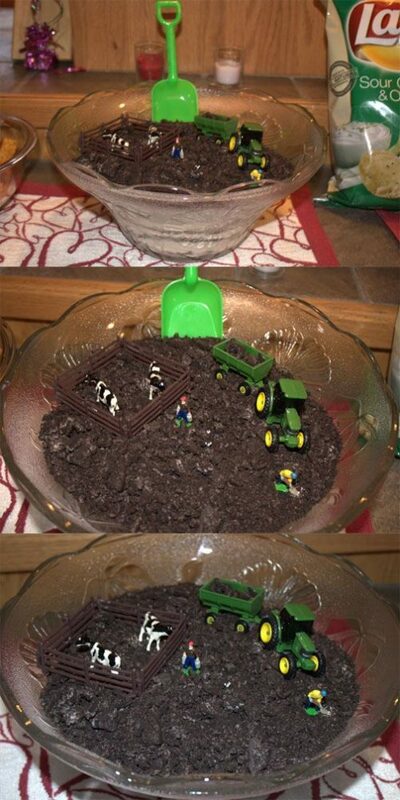 Why not surprise the birthday boy or girl with a John Deere Dirt Cake?! It’s a great alternative to your traditional cake and goes great with this theme! Plus, what kid doesn’t love “dirt” cake?! These John Deere Party Favors are too cute and we love the pay on words! 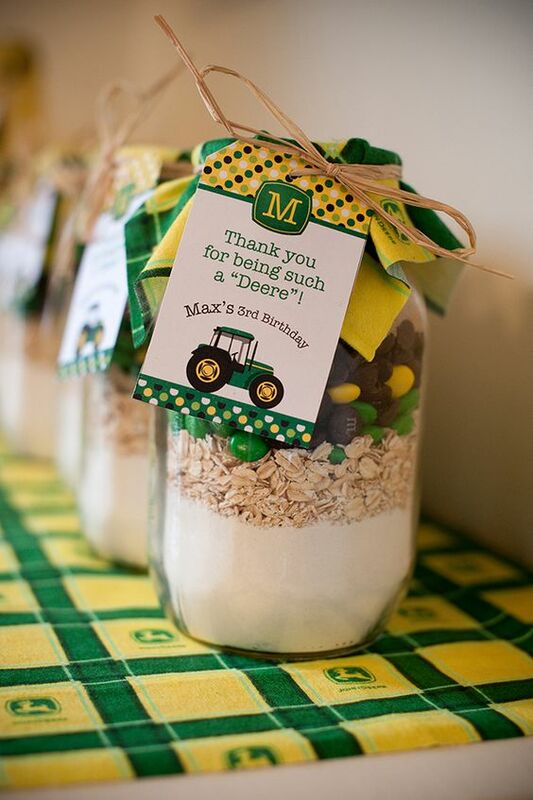 Treat guests to a yummy oatmeal mix and attach a cute thank you tag like this one … “Thank you for being such a “Deere.” PERFECT! 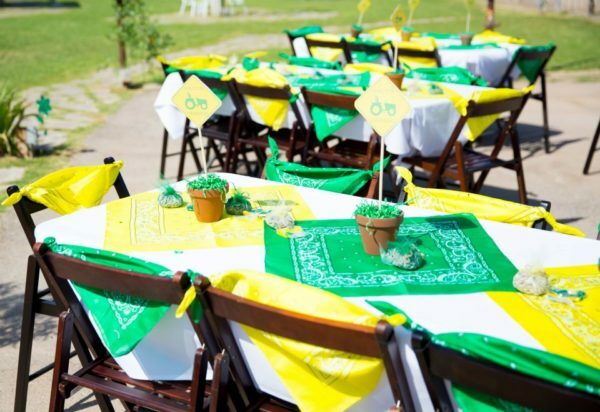 Grab some yellow and green bandannas and recreate this John Deere Party Table Setting Idea! This John Deere Number Birthday Cake is too adorable for words! 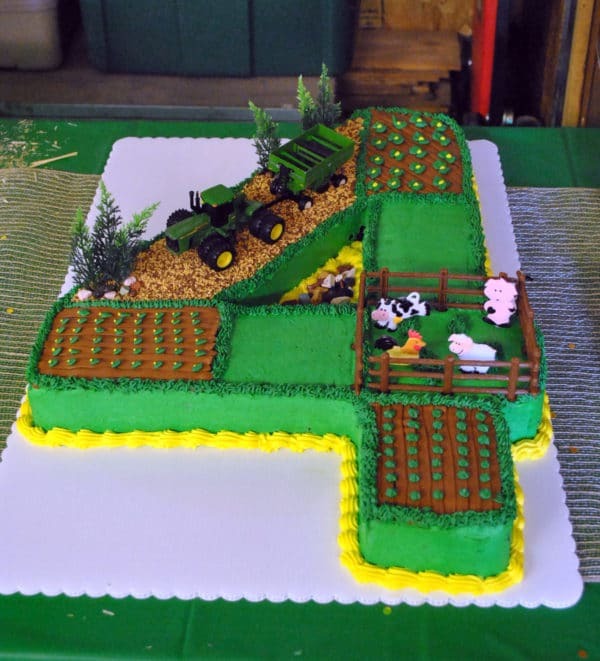 We love how they made a complete farm on top of the number 4 cake! So creative! We love these John Deere Party Tire Drinks and the kids will too! These would be great to place at each table setting and the kids can take them home as party favors! It’s a win-win! 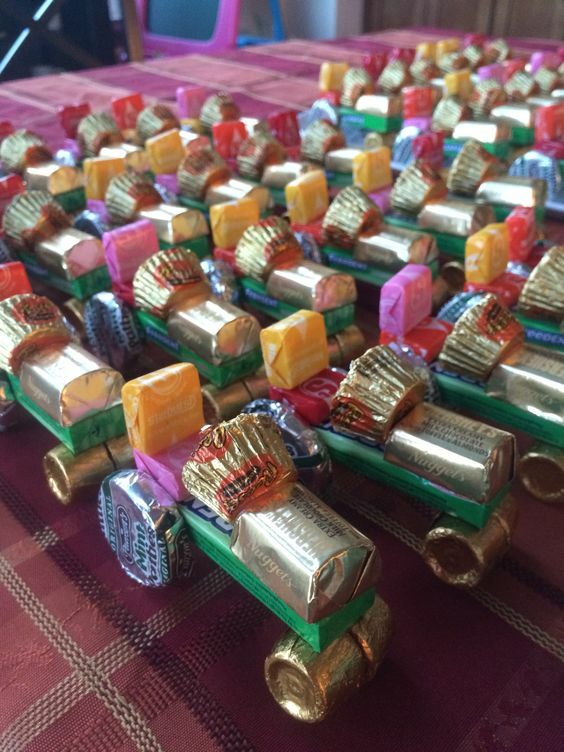 If you’re looking to get crafty, these Candy Tractor Party Favors will be an absolute hit among your guests! Seriously, how fun are these?!?! Scoop, sprinkle, shake, and enjoy! 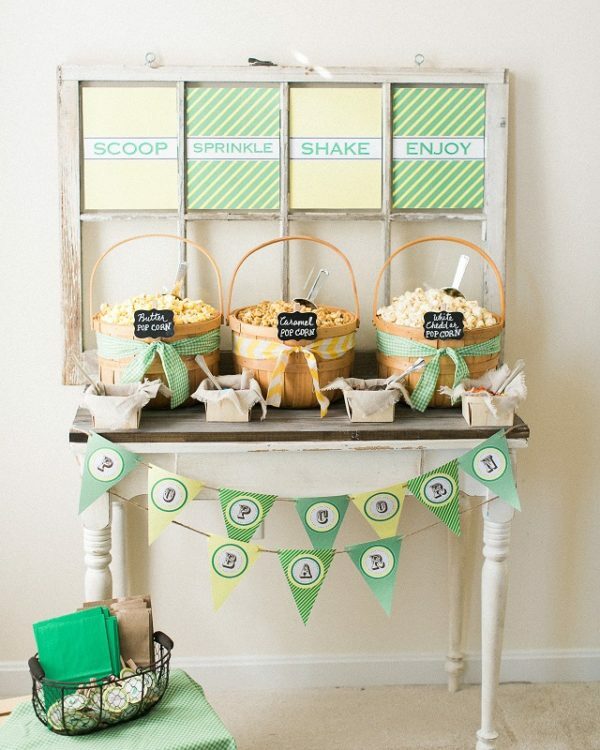 This Popcorn Bar is definitely a must-have for any farm party, especially a cool John Deere Tractor Party! If you know someone who can create a life-size tractor like this John Deere Tractor Party Prop then you’re golden! It makes the perfect photo-op for all of the kids! You can even get the birthday boy or girl to pose near it for a fun birthday photo shoot! 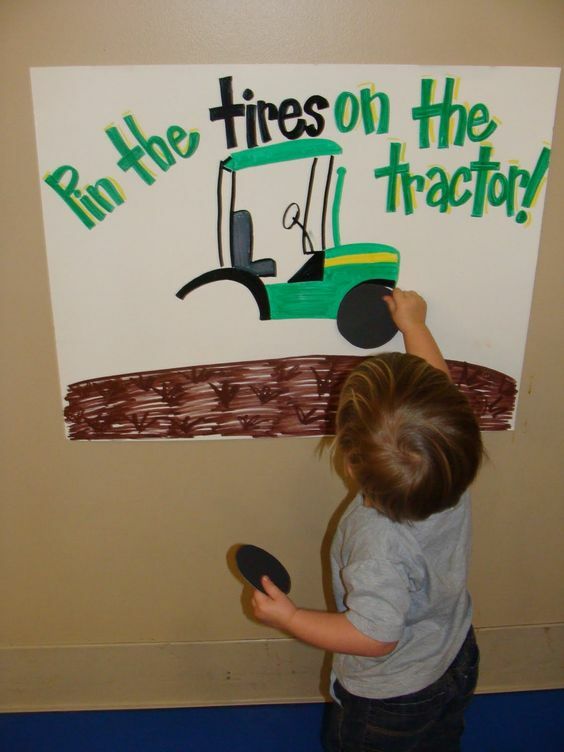 This John Deere Party Game – pin the tires on the tractor will definitely keep the kids entertained at the party! 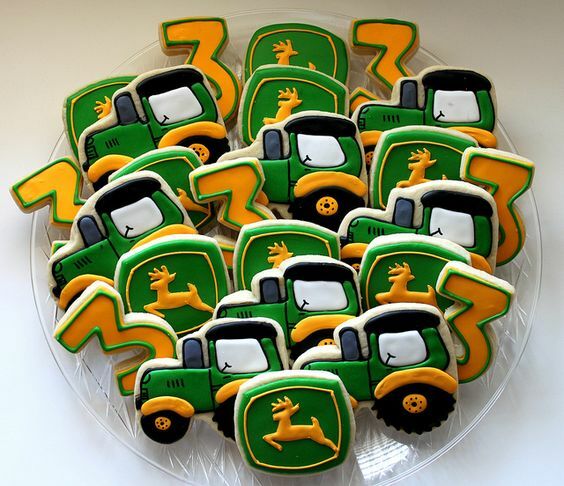 How perfect are these John Deere Tractor Cookies?! They would look great on a dessert table with any of the birthday cakes above! This John Deere Party Banner is perfect to add to your party venue. 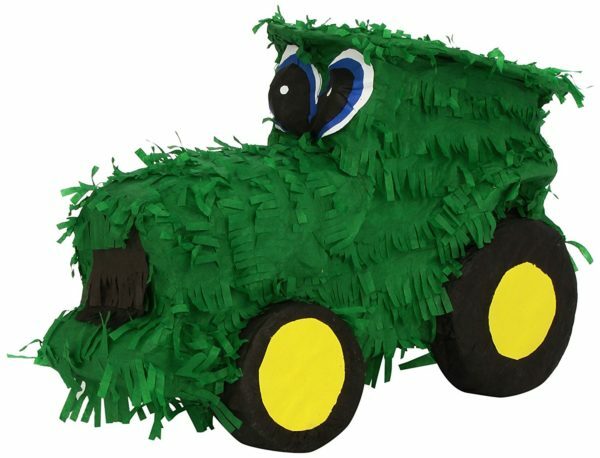 And we can’t forget about the Tractor Party Piñata! A fun pinata is always a blast and a long-time kid-favorite! 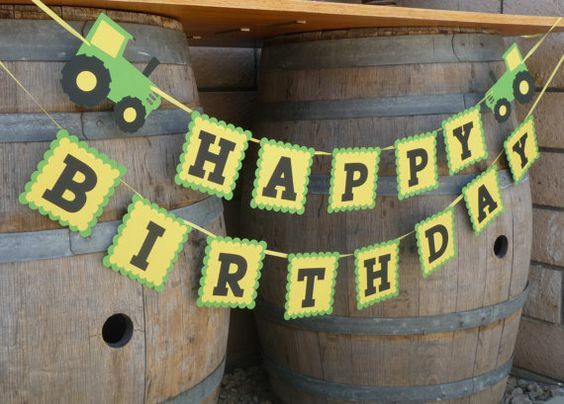 Which of the 20 John Deere Tractor Birthday Party Ideas do you love? Let us know in the comments below! Looking for more party ideas? 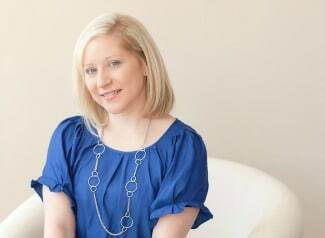 Don’t forget to follow us on Instagram @prettymyparty and Pinterest and join us in our private Facebook group.